So here I was being so good on my goal of preparing for bikini weather in Thailand next week, when I was led astray by the enablers at Cannizaro House. 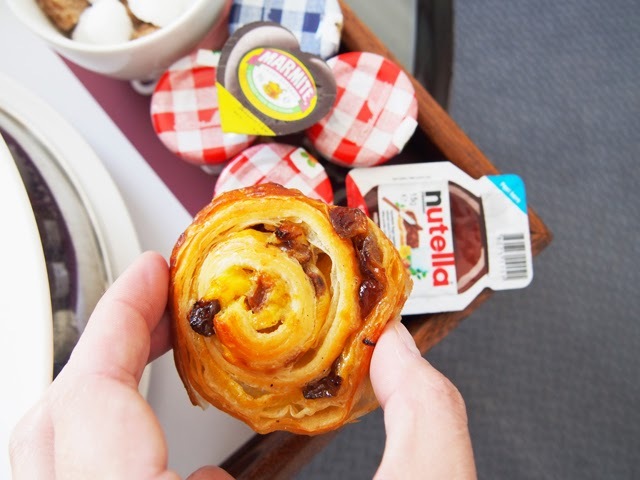 From beautifully mixed cocktails in the evening to perfect pastries with sunrise, this Wimbledon based estate house hotel didn't leave this tummy rumbling even once. I absolutely fell in love with The Orangery at Cannizaro House. If you want something relaxed and easy for drinks and dinner, make this your home for the evening. 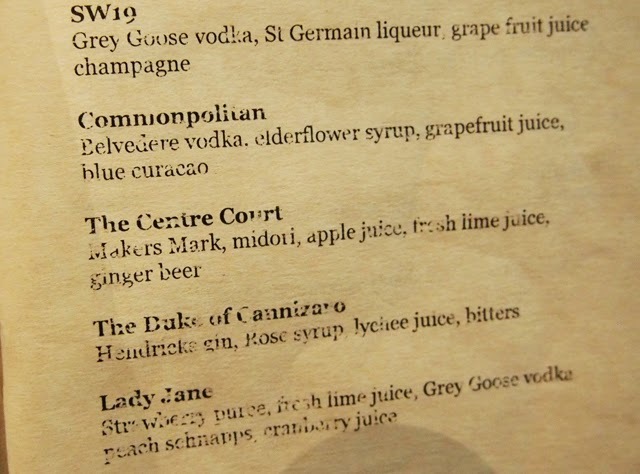 I reclined in a beautiful grey felt winged back chair and sipped on signature cocktails that were as beautifully presented as they tasted. From Cannizaro's local take on a traditional Cosmopolitan to a fruity encounter with a Lady Jane long drink, the evening could have started and ended with a sitting in this beautiful space. A wedding was also taking place at the House while I was in residence and the people watching made for excellent entertainment while I indulged in fruity concoctions. I actually lost track of time and was 10 minutes late for my reservation in the restaurant. 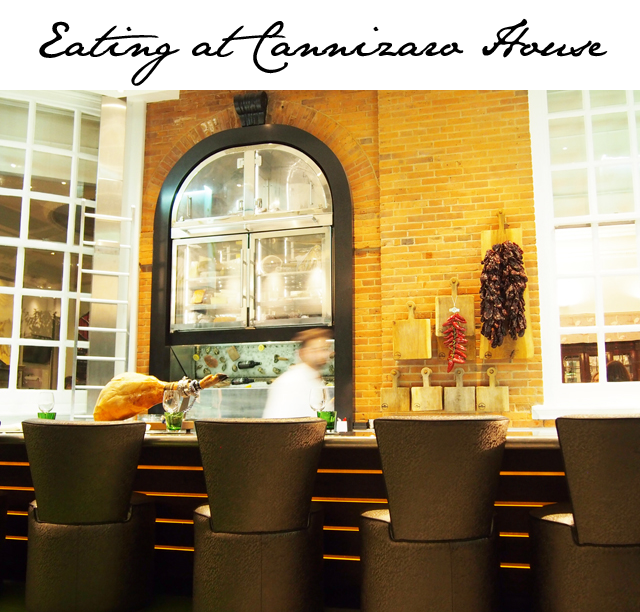 Now about this restaurant at Cannizaro House. Well, I guess the only word to start with is “wow.” The food really was quite impressive, from the amuse bouche to the final bit of a fig based dessert. I hadn’t really “expected” anything in particular as I had done zero research on what exactly the cuisine was, but I was pleasantly surprised by the presentation, portions and tasty surprises with every bite. Truly, there were combination of ingredients I had never even imagined. To start, I sampled oysters (simple) and scallops. 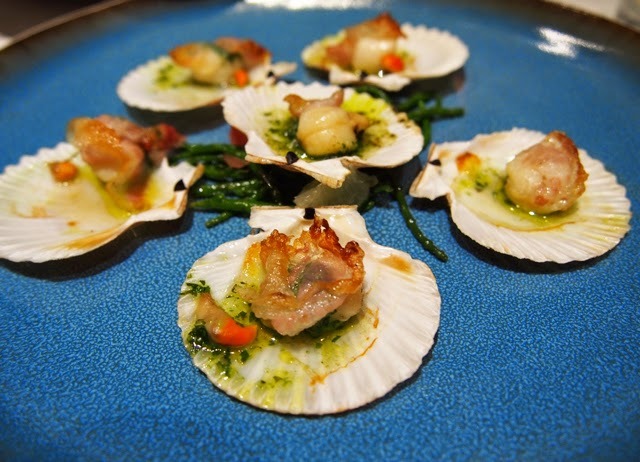 The scallops were served on shells and atop a bed of salted green beans. Both seafood starters tasted as if they could have jumped straight from the sea and onto my table. 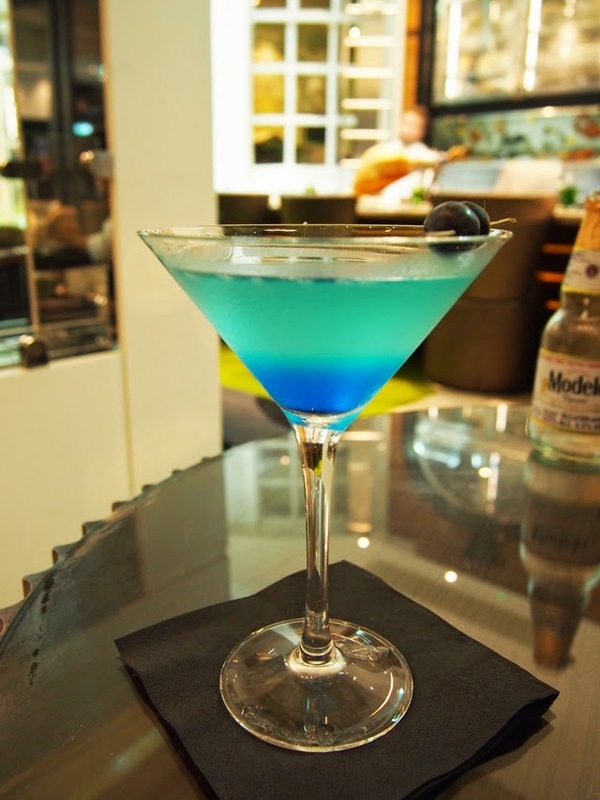 You could quite literally taste the ocean. Between, and during, courses, I enjoyed a beautiful bottle of rose sancerre. 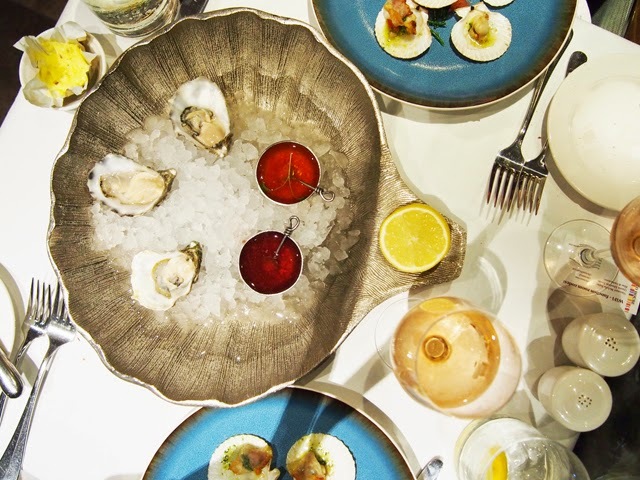 Admittedly, everything tastes better after a couple of glasses of wine, but this food did seem to just get better with every new dish arriving on my table. The next course was lamb. 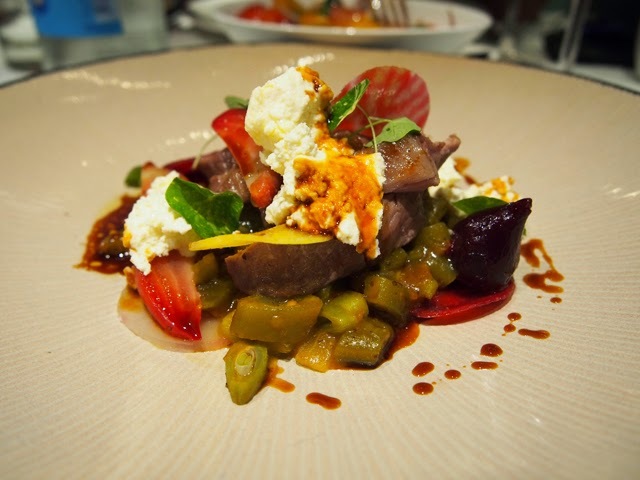 To be exact, it was "charred middle neck lamb fillet, runner bean chutney, beets and South London feta." This is never a combination I would normally go for, or had ever heard of, so naturally I had to order it. My curiosity was rewarded with a tastebud explosion. 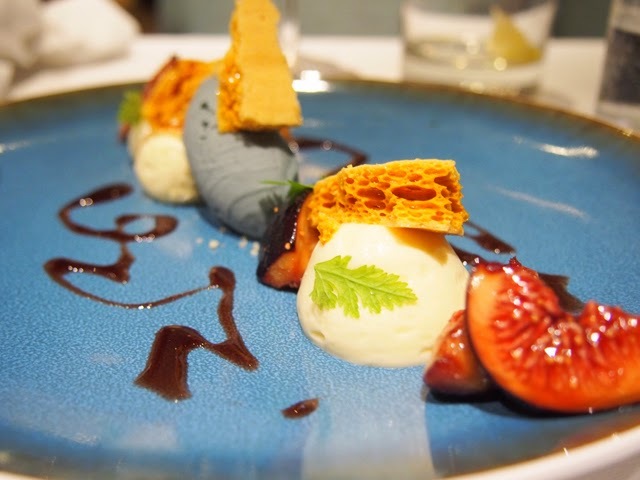 The culinary surprises continued well into dessert with an order of the roasted fig, orange blossom mascarpone, honeycomb, Marsala and fig ice cream. Again - who knew?! The figs were presented masterfully on the plate and combined with unexpected textures and taste points. Delicious. I'll just say this - I went to bed with a smile on my face and a full tummy, without a care in the world. 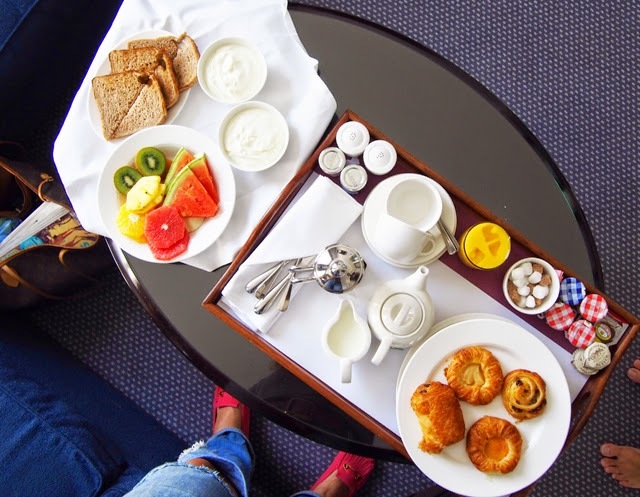 The next morning I woke to breakfast in bed. 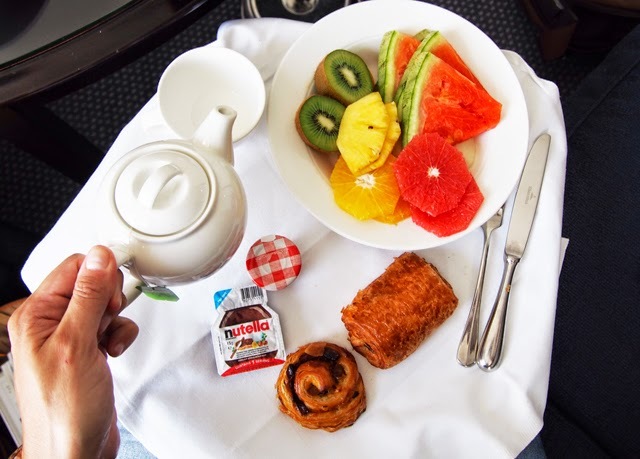 Continental brekkie was brought to the room, which included pastries, yoghurt, fresh fruit, coffee, orange juice and a selection of mini condiments with bread. 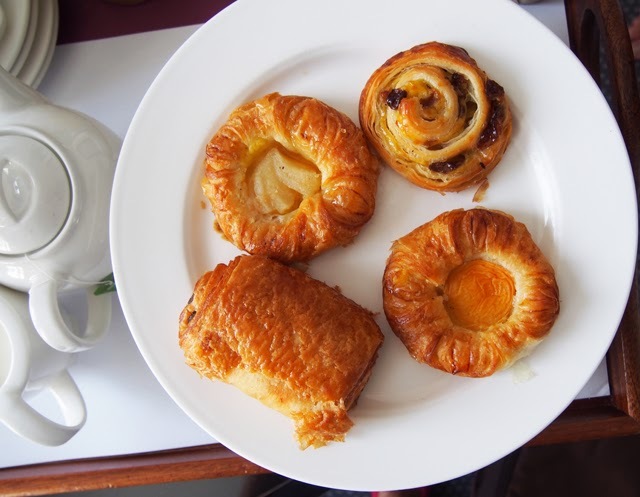 The warm pastries received a warm welcome. Every single one disappeared in a matter of minutes as I read the paper and enjoyed the view of green from my window. This truly was as close to a country escape as I could get while still being within London city limits. Absolutely amazing. 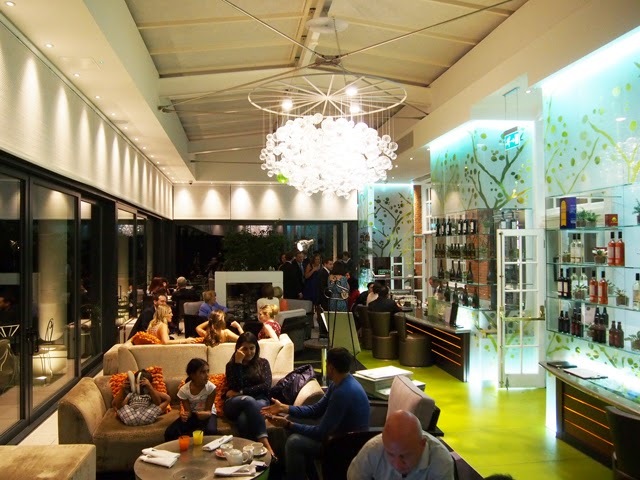 FFG was a guest at Cannizaro House in Wimbledon for one night.